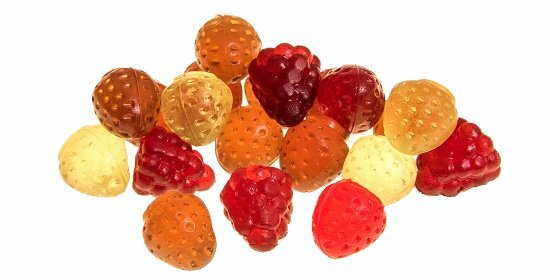 Jellies and gummies of any texture - from soft pectin jellies to chewy gelatin gummies - can be made economically and at high quality by Baker Perkins’ starch-free depositing process. Two recent developments are milestones in the progress of starch-free depositing technology overtaking moguls as the production process of choice in these expanding markets. They bring significant opportunities to enlarge these sectors. Gelatin gummies can now be removed from moulds in a few minutes, rather than 24 hours, through a combination of world-leading gelatin producer Rousselot’s new SiMoGel™ solution, and Baker Perkins’ ServoForm™ depositors and cooking systems. The second innovation, from ingredient supplier CEAMSA, creates two opportunities. Deposited jellies that combine pectin and gelatin reduce demoulding time; and a combination of pectin and carrageenan achieves gelatin-like textures which are vegetarian – opening up major markets such as India and the Middle East, where gelatin is unacceptable. 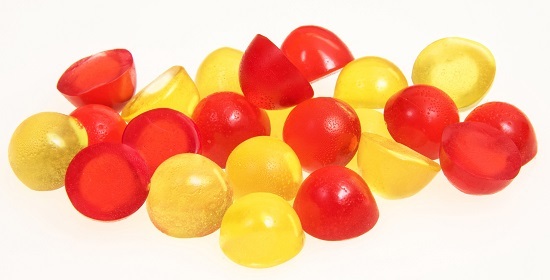 Starch-free depositing of jellies and gummies is especially relevant for functional and medicated jellies and gummies, where the starch process cannot be considered. Hygiene - particularly the elimination of cross-contamination - and strict recipe accuracy are critical, making starchless depositing ideal through its consistent high-class products that support premium pricing and healthcare positioning. Crucially, depositing adheres to the principles of GMP and is readily capable of validation to FDA/EMEA standards. In the universal jelly and gummy markets, depositing is significantly more cost-effective than a mogul in every aspect, including capital and operating costs, floor space and process inventory. Most important of all, the absence of starch means no recycling, and lower costs for energy, labour and consumables. The absence of starch means that plant hygiene and the working environment are significantly improved. This all makes gummy production economically viable for companies of any size, from start-up operations to established high-output manufacturers. 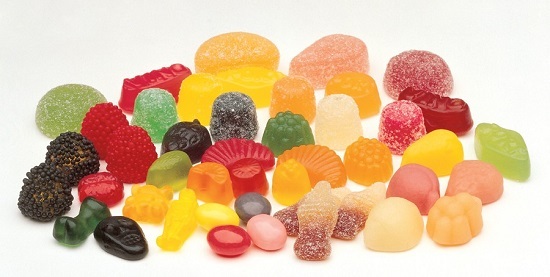 The established jelly and gummy market can be expanded with a colourful range of high-quality solid, striped, layered or centre-filled products. Companies looking to enter the jelly and gummy market, or switch their production process, will find Baker Perkins’ years of experience of cooking and starch-free depositing in hard and soft confectionery invaluable. We do not just sell cooking and depositing equipment – we provide a complete service, with know-how gleaned from installing more than more than 500 starch-free depositing lines. Baker Perkins evaluates each customer’s total requirement of recipe, product and output before specifying a system. Tests in our Innovation Centre will optimise both process parameters and equipment design.